Thank goodness there is more to talk about than Rob Ford and Miley this week -- I refuse to give either one of them air time (even though I just did, right there). I found a really cute Etsy video, a delicious quinoa snack (to buy, not make), some amazing gift-wrapping ideas for the holidays, a revealing video and suggestions on how to help people in the Philippines. 1. Typhoon Haiyan has been acknowledged as the world's strongest and deadliest natural disaster, with an estimated $12-$15 billion in damage and expectation that up to 2,500 lives have been lost. That kind of damage is unimaginable to us in North America. Industries and communities (with little to no insurance) have been wiped out completely. I'm sure you have seen the footage on T.V. and online. The immediate needs for the people there are basic -- food, water and medical supplies. You can help by donating to the Canadian Red Cross or World Vision. Note that the Canadian government is matching donations made by individual Canadians to Typhoon Haiyan relief efforts. Donations made between November 9 and December 8 will be matched dollar-for-dollar. For more Canadian charities raising funds to assist with relief efforts, visit CrisisReliefCentre.org. 2. A revealing video that was filmed a year ago has resurfaced recently on the mommy blogs. It shows the transformation that an image of a beautiful model goes through -- from the beginning to the finished product. You might have seen the Dove Evolution commercial that went viral in 2006, which was the first of its kind to expose this truth to the general public. This needs to be seen more. Our children need to have a more realistic standard of beauty. I'm not just talking about the young women, the young men need to as well. 3. Here's a video that's a little less serious. It's a marketing video, but it's so well done that it's worth sharing. One of my favourite companies and places to shop is Etsy because everything they do is just right. Here's how they are featuring some of their vendors through their online store. It does make you want to shop there, doesn't it? 4. While you're in the comfort of your office or home, shopping online for your one-of-a-kind artisanal gifts, you might feel like noshing on the perfect healthy gluten-free snack. 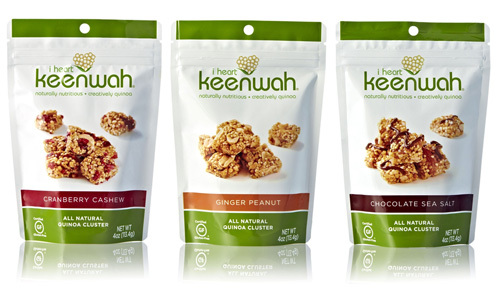 You'll love my new find--i heart keenwah. It's delish. They're not cheap, but I didn't have to make them. They are tough to find right now because they're so new, but check out the store locator on their site and look for them in your local specialty store. They should be there soon, if they aren't already. 5. 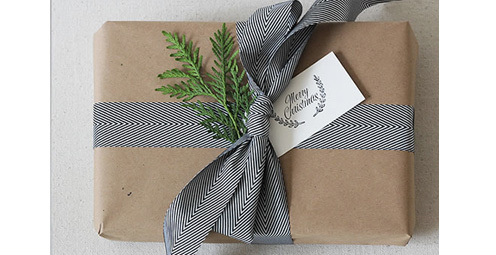 Now that you have all of your beautiful gifts and the energy to wrap them (thanks to your gluten-free quinoa snacks), the next question is how to do wrapping-justice to such gifts? I found inspiration from my favourite paper company, The Penny Paper Co. You'll love this page filled with wrapping design inspiration and the materials required to achieve that perfect festive look.